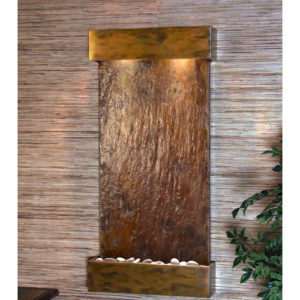 Adagio Water Features began in 2001 with the quest to produce the highest quality water features available. Adagio blends the beauty of natural slates and rain forest marbles trimmed in premium metals, with the gentle flow and sounds of rushing water and soft halogen lighting in bringing tranquility to life. Adagio is located in Salt Lake City, Utah. 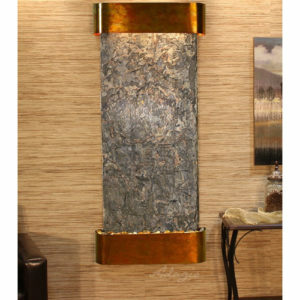 All of our products are hand crafted on site with high attention to product quality and detail. 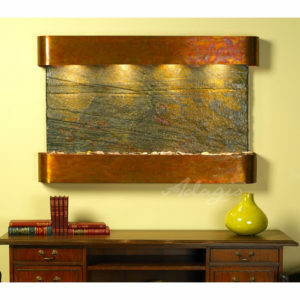 Adagio Water Features offers a great variety of water surface & metal options for customizing your home or office space.